On winter days when ice on the roads makes cycling treacherous, hiking is a good alternative. Rosslyn features outstanding wilderness hiking on the Rosslyn Potomac trail. Access the trail from the Custis Trail just north of the Roosevelt Island parking near the trail bridge over Rt. 66. This ancient trail is thought to have brought back travelers disappointed with the California Gold Rush and disillusioned with what they found at the end of the Oregon Trail. Travelers weren't disappointed when the Rosslyn Potomac Trail finally brought them to Rosslyn. Walking is a wonderful way to clear one's head. Walking not only promotes good health, but walking also promotes clear thinking. More (or at least some) clear thinking is clearly needed by people in the Washington area. I applaud the Ode Street Tribune's effort to promote walking and clear thinking. Unfortunately, the Ode Street Tribune research department did not do a very good job researching the history of the trail. Up until this very day, no one in their right mind has ever been disillusioned by what they found at the end of the Oregon Trail. By the way, what is the temperature in Rosslyn today. It is sunny and 65 in Oregon. Do you mean the Potomac Heritage Trail? Or is this some mysterious other Potomac trail? 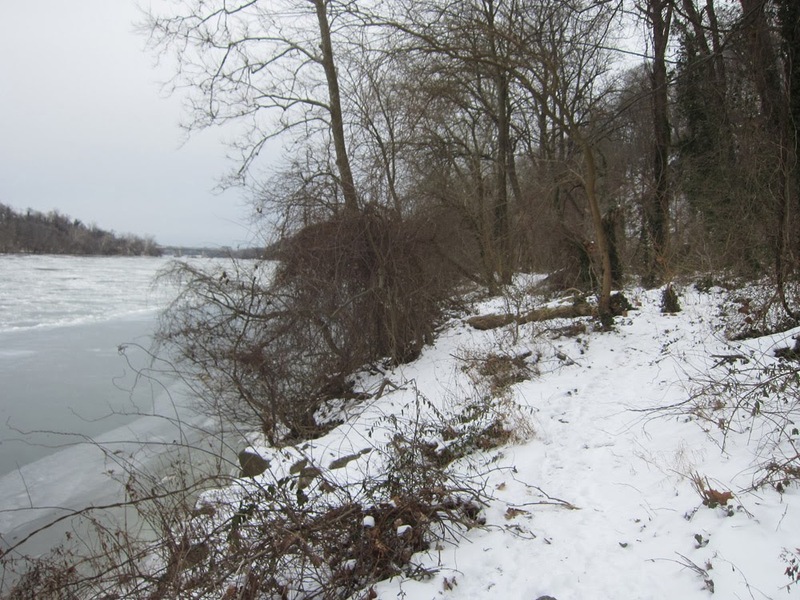 The Potomac Heritage Trail is now being called the Rosslyn Potomac Trail. Please use the latter name. Oh yeah? That's an 830-mile-long trail. Better let the folks in Pennsylvania know we've planted our flag. The trail leads to Rosslyn. All the folks in Pennsylvania are welcomed to come to Rosslyn on the Rosslyn Potomac Trail.